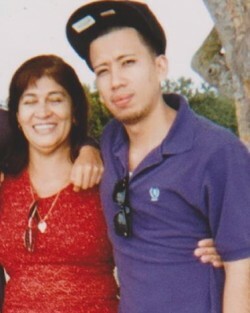 On April 9th, Jose Melgar was on his way home from a trip to the grocery store with his mom and sister. Before reaching their house in Fort Myers, Florida, the family was surrounded by Immigration and Customs Enforcement agents who demanded to see their documents. Ana requested permission to retrieve documents from their home and asked officers if they had a warrant. But, without producing a warrant, they entered the Melgar home, ripping through belongings, while Ana got her paperwork. Jose came to the United States with his family when he was 6 years old, escaping violence and terror in El Salvador. His mother, Ana, and his sister were both granted protected status, but Jose was not. Ana says that not only did officers ransack the family’s belongings, they also beat Jose before arresting him — and Ana’s family is still not sure why. Jose is now behind bars at Krome Detention Center, and Ana fears for his mental state. Jose was diagnosed with a mental disability while in school, and his family and friends worry that the combination of trauma from the arrest and beating alongside being held in prison might be too much for him. “My son, to this point, has done everything he can to go down the right track. He didn’t deserve to get detained, much less beaten, by ICE,” says Ana. Jose, who would qualify for the DREAM Act, has a bond hearing on Tuesday, April 24th. Adam hopes that more supporters signing the petition will help. He and other advocates in Florida are also asking for phone calls to ICE requesting Jose’s release. This entry was posted in Deportation, Enforcement, Local Stories, Media by CCNSP. Bookmark the permalink.